We want to share some recent photos of some of our older children and send everyone Christmas blessings. Recently we had two children graduate high school, and we had about 8 who finished their 3rd year of high school, which is a terminal point in the education system in Swaziland. Several of those children are those which we have sent away to board at schools for talented and gifted children. We brought them back to Cabrini to stay with us during the last 6 weeks, to provide them a small apprenticeship opportunity to build practical skills that might be useful in their lives as they grow into young adults. The experience was a great success. The children that go to outside schools were able to feel part of the Cabrini family again. We go and visit them and support them but during school breaks they visit their extended family like the other children, so it was a nice chance to strengthen our relationship, letting them know that they belong to us and we belong to them, and that they always have a home at Cabrini. The experience also gave these young people a very nice sense of working relationships with adults. The managers in all our departments- maintenance, agriculture, health care departments- were very much willing to take these kids on, even though they knew nothing, which can be more burdensome than helpful. But all of the managers were kind to the children and said, ‘Yes, I’ll teach them.’ The one-on-one supervision and direction, and a sense of belonging, made the kids feel good about themselves. Colani has lost both parents. At Cabrini he attended our Bridge School- which is for kids that are too old for their grade to accelerate them through a few grades at a time. He just finished grade 7 and he’ll be moving into high school. Here Colani is working on a new part of the hostel that we are expanding into, learning to set bathroom tile. Vusi lost his father at age 13. He went to live with his mother and her second husband, but the husband was abusive. When Vusi stepped in to defend his mother the husband threw Vusi off the homestead. Cabrini supported Vusi to apprentice at a private carpentry factory. He’s been employed as a regular employee at Cabrini, but in January he’ll be going to a trade school for carpentry. Celemusa has lost both parents, but he is our bright light. He attended our Bridge School as well, and did so well that he was able to attend Siteki Nazarene High School, which is considered one of the best schools in the whole country. We are so proud- he is number 1 in his class. We’re expecting him to do very well nationally and have opportunities open for him. Here he is learning to put in a ceiling. Fanana lost both parents, and was also a Bridge School student. Several of the Bridge School students ended up going to Siteki Nazarene which is real triumph, including Fanana. He’s been doing well. Ronnie goes to St Philip’s High School. He is an average student but a very good boy. Here he’s learning to lay tile. Aretha, Sikholiwe and Dumile helped in the hostel, cooking mealy-meal for breakfast and cleaning up. They learned how to cook for large groups and about good nutrition. Ever since we have known Thobile, she has wanted to be a nurse. So Thobile volunteered in the health department, which she loved. She was able to take blood pressure, blood sugar, and check in the patients. She was a big help and was thrilled doing it. The staff there were really happy with her work. We’re hoping that her scores on her exams will be high enough for her to get in to nursing school. A few children also worked in our agriculture department, doing overall planning, weeding, planting, and learning about cabbages and chili peppers which are our two big crops that are planted right now. All of the children worked hard and they seemed to enjoy the tasks. They also got much more one-on-one attention with adults, and they really liked it and responded positively to it. We trusted them with something special that none of their peers were being trusted with, and they really did a great job. As co-parents we want them to feel responsible for Cabrini and what they have been able to do here, and the work helps connect them to that. Finally we want to send special Christmas blessings to everyone. We do the work here but there must be 1000 people out there that keep us operating. We are aware of that and very very grateful. People who connect us with funding, or share the good news, or work on our part to donate services, or donate $10- whatever it is- it’s all that together that make Cabrini Ministries function. The fact that these kids are growing and thriving is part of the thanks that we give. 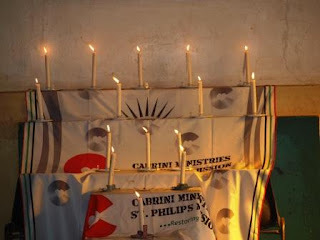 To the hidden people out there that are part of our Cabrini Ministries family we wish a very Merry Christmas! We’ve been keeping busy as usual. Sr. Diane recently traveled to Geneva, Switzerland as an invited guest to a World Health Organization/Stop TB two-day meeting, consulting on community-based organizations and running effective tuberculosis programs in the rural areas of developing countries. In addition we hired a medical doctor a few months ago, and we’ve been recently nominated for a couple of awards. We wanted to share photos of the recent visit of the group Write On Africa who created murals on the buildings here with help from the kids. The children enjoyed the creative activity and our buildings have been transformed into colorful, cheerful works of art. The children enjoyed the opportunity to be creative with colors and shapes. Everyone was very committed to finishing the murals in two days, especially the children. We are so grateful for their visit and all our visitors. Read their story on the Write On Africa Blog by clicking here. 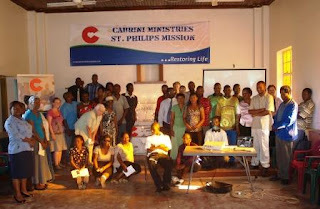 Here is an update on what has been happening at Cabrini Ministries in the past few months. Over 2500 people attended our first Family Day at the Mission. The message was ‘Stay alive to raise your children.’ Not a topic you would normally need in the Western world but here where HIV/AIDS, TB and hunger are taking their toll, it was an important message. The day started at 7am and was supported by doctors testing for HIV, TB, blindness and other acute medical conditions. Even breast cancer screening and prostate cancer tests were done. 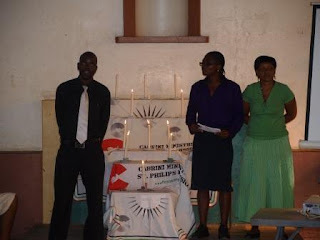 Action Against Hunger provided nutrition and cooking demonstrations while others taught the benefits of male circumcision, a program which will be introduced later in the year to reduce the spread of HIV/AIDS. The atmosphere was wonderful as all the local people used the Mission as a centre to draw them together and support each other. Children laughed as they played on Jumping Castles, had their faces painted, played games and danced to music. The faces on Swazi adults and children alike beamed as they saw the local school’s marching band and singers entertain them and regular dramas unfolded teaching all about HIV. The day was so successful that it didn’t wind up until midnight. To see such poor people – in fact the poorest of the poor – arrive in their best clothes, so bright and clean with their beautiful white teeth beaming out of smiles, it is hard to imagine that they live on bare earth with no water, electricity or any worldly possessions. Everyone received a meal and for some it was their only one in many days. The first Family Day was such a success that the local people hope it will be an annual event. We are very sad to share that we have lost the first child ever to death under our care. Thandizile was only 13 years old when she died of measles outbreak at the Mission. She was born with HIV/AIDS, the same disease which claimed her parents and made her an orphan. Thandizile is survived by her elder brother, 20 years older than her, who is a herdsman in the district. Her brother tried to feed her but a herdsman is the lowest of paid jobs here and soon she found herself struggling to find food. Just six months ago the Mission embraced her, with her beautiful spirit and will to live. She loved each day at the Mission with other children and knowing the care of the Sisters and ‘Aunties’ were strengthening her life. “The one gift we could give her in her hard life, was one full term of being able to live like a normal little girl, reasonably healthy, very happy and loved,” said Sister Barbara in her time of mourning. The measles outbreak has already taken 17 people in the area- all were vulnerable because of their HIV/AIDS status which destroys their resistance to other diseases. Thandizile was the first to contract measles at the Mission. The Sisters quickly acted by having all students and staff vaccinated but not before the very sad death of little Thandizile. Our community was hit very hard by this loss. On a much more joyous note, there is nothing as raw and alive as a traditional Swazi Wedding- and it lasts for three days! Two of our female Swazi staff, Philisiwe and Jane, were married recently. Each wedding followed the sound of Africian drums which echoed through the Low Veld and brought all the community together. The first day is the gathering with dancing around camp fires where hundreds talk and chat. The numbers attending the wedding are hard to judge as it is quite normal to welcome ‘gate crashers.’ In fact there are no invitations, it is just who turns up for the festivities and banquet. By the second day there were many hundred of guests to see the bride dance with her lady friends while the men dressed like warriors and staged the ‘kidnapping’ of the bride from the village. This is a 4 hour ritual and wonderful to see. The beating of the drums travels miles as all the men dance a warrior dance to approach the camp. Meanwhile the ladies line up and dance to a steady rhythm to ‘protect’ the bride. By the end all the guests are dancing too and enjoying the mock battle. The ladies costumes are richly decorated while the men are covered in African furs and beads holding spears and shields. Hundreds of people dancing to the beat of the drums and stirring up the dust is mesmerising. It leaves you with the true spirit of Africa, the culture of hundreds of years of history and is something you will never forget. How does a child grow into a person who becomes a good mother or father? How does a child grow into a person who becomes a good citizen of the Nation? How does a child grow into a person who respects himself and others? How does a child grow into a person who knows that he comes from God and goes back to God ; a person who prays and struggles to do good? It may seem like a simple answer but the beginning of becoming a mature adult who contributes to the common good of the Nation and the good of his or her family… is to have parents who direct and discipline a child’s life with love and concern. In our Nation today only 21% of the children have both parents and all the rest are either double or single orphans. Even the single orphan is often abandoned by the remaining parent when one dies. What does this mean for the future of family life in Swaziland? What does this mean for the future of the Nation? It is truly a tragedy for the children of the Nation today and a disaster for the future of the Nation tomorrow. 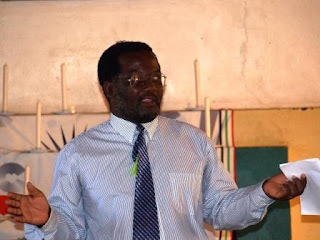 So many of the children of Swaziland are growing up disconnected….with no sense of belonging to someone who loves, respects and disciplines them…who teaches them the way to think, choose, behave in the normal situations of every day life. Orphans, many thousands of them, are struggling to raise themselves with no sense of belonging to a family, a group, a Nation. They are learning that adults often take advantage of them, encroach on their homesteads, abuse them physically and sexually, or just don’t have time for them because the adults themselves are overburdened with mouths to feed. Already the Nation has, by some estimates, more than 200,000 orphans…how lonely, disconnected and angry will these children be as they try to grow into an adult world with no skills of family and relationship….they will easily follow the example of those who have taken advantage of them and abused them in various ways. Are we moving toward a Nation of thugs? A nation of young adults without compassion and connection? A Nation of young adults with little sense of right relationship? Faithful relationship? There appear to be few answers for the children growing up without parents in these last 15 years..often alone or with overburdened guardians. Are there answers for the children being born right now? A large percentage of the families and women having babies are HIV+…does that mean the tragedy and disaster of disconnected children must go on and on? In the area of the Lubombo lowveld where Cabrini Ministries works the HIV+ rate over the past three years has remained between 45 and 60% of those tested. Is there an answer? Yes, I believe there is the beginning of an answer – PARENTS, MOTHERS AND FATHERS MUST TAKE RESPONSIBILITY FOR THEIR LIVES AND STAY ALIVE! What does this mean? 4. It means if you find you are HIV+ you decide that you will get the help you need, eat as well as possible, go on anti-retroviral treatment when it is necessary and live for another 15 or 20 or 30 years so that you may stay with your children, love them, teach them, discipline them and help them to grow into a good and loving adult like yourself. Your health as an adult and a parent is not just a personal thing….IT IS NOT TRUE THAT ”MY LIFE BELONGS TO ME AND I CAN DO WHAT I WANT.“ Our lives belong to God, to our family and to the Nation. As a parent it is a responsibility that comes with parenthood to care for yourself, stay healthy, even if you are HIV+ or with AIDS, because your life is for your children…for their future. There are programs and projects to help orphan children in Swaziland all struggling to do the best they can to help some of the thousands of orphaned children; there are school teachers with great compassionate hearts trying to help as many as they can of the many, many orphaned children they teach each day. These are good efforts and God who loves children in a very special way blesses these efforts. BUT NOTHING TAKES THE PLACE OF A PARENT WITH ENOUGH LOVE TO STAY ALIVE FOR THE SAKE OF HIS OR HER CHILDREN, NOTHING. Click here to learn more about child care at Cabrini. 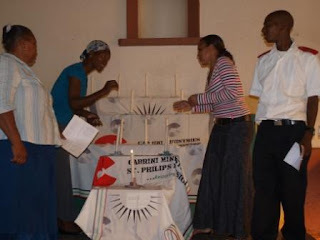 The Missionary Sisters of the Sacred Heart (Cabrini Sisters) have been serving the St. Philips area of the lowveld of Swaziland since 1971, where they came to bring the love of the Heart of Christ to the people. They did this through Catechism, developing healthcare, and providing skills training for adults. By 1996 they considered leaving the area due to increased development and improvement of life circumstances. Then came HIV, and everything changed: people all around were falling ill and dying, leaving their children and families behind. At that point, the sisters realized they had to stay- the need had become so apparent. 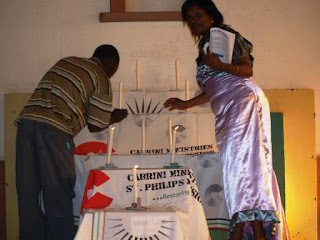 It was five years ago that we began operating under the name of Cabrini Ministries, having developed a focus of addressing the problems of HIV and TB. Since then, we have been blessed with the resources and opportunities to expand our programs to better serve the community, thanks to the generous support of donors as well as new grant opportunities. As an organization, we have received positive recognition through various articles and photos in major newspapers, a TV interview opportunity, and our many colleagues sharing word of our work. 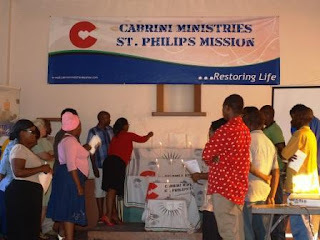 Thankfully, these opportunities to spread the name and work of Cabrini Ministries have helped us improve and expand services while widening the net of potential donors, increasing rapport with ongoing supporters, and improving our standing in Swaziland. Over the past few years, we have been able to progress from a sole reliance on individual donor funding to a more diverse mixture of private donations and grant funding. Additionally, we have become integrated into many of Swaziland’s national strategies and have become partners, working hand in hand with various governmental and nongovernmental organizations and agencies. In addition to the exciting development we have seen within our relationships with other key players, we have had positive changes happening within the organization as well. Our staff has increased in number to over 40 local community members, with the staff becoming more knowledgeable and skilled within their respective areas of work. Some areas of staff development include accounting, human resources, database maintenance, and training health care paraprofessionals. Both the Child Care and Health Care arms of Cabrini Ministries have increased their capacity to provide for the needs of the area. On February 5, 2010, we held an all-staff celebration to commemorate our growth over the past five years. Staff members were recognized based on the year they joined the organization, with special acknowledgement of the 26 employees who began working with Cabrini Ministries in 2005 or before. We would like to publicly thank and congratulate the following employees for five years of dedication and hard work: Bongani Nhleko, Esau Bhembe, Fodo Mbingo, Jabulile Gamedze, Johannes Ngcamphalala, Khisimusi Mamba, Lucia Gamedze, Mathew Mkhaliphi, Mcoshwa Hlandze, Mkhawuleni Nkhabindze, Mkhumbi Shongwe, Nkosingiphile Vilane, Ntombi Vilakati, Ntombizile Simelane, Nxobile Mkhatjwa, Priscilla Mamba, Sanele Dlamini, Pius Siboniseleni Mamba, Sindi Nhleko, Sonnyboy Sikhosane, Thandiwe Mathunjwa, Thokozile Nxumalo, Zodwa Gama, and Zodwa Vilakati. We will continue our celebration of the 5 Year Anniversary of Cabrini Ministries over the next few months, where you can expect to learn more about the advancements in Child Care and Health Care programming and join us in thanking some of our most committed supporters. Without you, there is no Cabrini Ministries; thank you for all that you do that allows us to continue our work here. May 2010 be a blessed year for us all! We are three Italian medical students, Caterina, Silvia and Selena, and we attend the fifth year at the Faculty of Medicine in Italy. 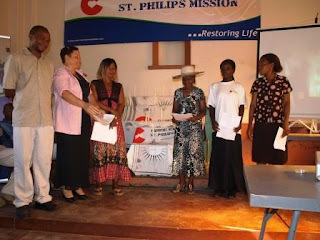 We would like to tell you about our experience in St. Philips, Swaziland, with Sister Diane and Sister Barbara, from July 25th to August 10th last year. This experience began when Caterina met Sister Diane in Milan, Italy. Caterina was in the nursing home Columbus to give some materials to Sister Diane. They didn’t know each other before. Caterina works in the “Maria Bonino Foundation,” which supports humanitarian projects in Africa, especially within health services. Caterina was really struck by the accidental meeting. In university she told her friend Silvia about the special person she had met. 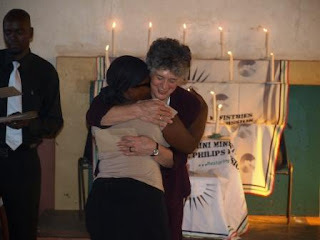 Sister Diane had told Caterina that visiting St. Philips could be a good opportunity for her work. Silvia was immediately affected by Caterina’s enthusiasm, and she thought that it was a wonderful idea to go there. The decision to leave was immediate, and Selly, another friend, came with us. We took the last exam on the 23rd of July and we left the following day. Sister Barbara was waiting for us at the Manzini Airport. She drove the van through the roads of Swaziland to St. Philips. Our first impression was astonishment at the gratuity and generosity of the Sisters’ welcome for us. We were also struck by the amazing landscape, which is so different from the Italian landscape we are used to. We were stuck by the wide spaces, but also by the desolation: all around, just the “bush”, bare soil with tangled brushwood; above, a wide sky we have never seen before and a wonderful light spread everywhere. We thought we would find a village, but really, in Swaziland there are no villages- people live on homesteads. The mission is the only union point around there. The house where we lived was very comfortable: this was another surprise! The Sisters had thought of everything: besides providing us with lots of supplies, they gave us a detailed program of what we could do during the week. As we are Italian, we are not used to such organization! The following night we followed Jakonia to give some families blankets because in the night it’s really cold and moreover the huts, made of mud and straw, don’t have any other way of heating than fire. We were very astonished by the huts: it was night, the only lights came from the fire in the huts and the stars in the sky. For the first time in our lives we became aware of the beauty and the huge number of the stars- in Italy there is too much artificial light to see them- and the sky in the South of Africa is not as the one we are used to, it is like a huge bright cloak that surrounds and wraps in every direction. It’s really wonderful! But we were particularly struck by the people we met, and first of all Jakonia. In that simple gesture of giving the blankets, he had a very impressive familiarity, discretion and care so that the people in the homesteads didn’t feel ashamed. We went in the homesteads to visit the patients with David, a very good nurse who works in the mission. It was an opportunity to get in touch with local people and see how it is important that health services take care of every single person in an individual way from the realistic and human points of view; it is often difficult for people to go to the mission to get treatment because of stigma or other reasons. On Thursday, before the dawn, we left with Bongani in a truck to go to the homesteads around the mission to take people who needed to go to the hospital in Siteki. During our trip we got to know Bongani better. He doesn’t speak a lot, but he gave much attention towards us and the patients- he is a wonderful person. In Siteki we learned of the work of doctors and nurses there, and we discovered that in all of Swaziland there are just 80 doctors! It was a good opportunity to get to know Swaziland from the health and medical points of view: hygienic conditions are very poor and particularly they need a qualified staff, who can also teach local people how to take care of patients. We spent our free time in the orphan hostel; we met the teachers Simo, Siswei, Mtula and many of the children. We shared with them the activities during the afternoon: English classes, games, wood harvest in the bush. We enjoyed playing with them and teaching new games, but above all we really became fond of them! They’re very poor, but it’s incredible to see how happy they are, and they really enjoy themselves! We helped out in the new Health Care Center, then, in the afternoon we went to Manzini by jeep with five women, who work in the mission, to buy some materials. We had an absurd but amusing trip: we had some moments of discouragements, in particular Caterina was not used to driving on the left side of the road and was worried about the bad conditions of the road: we got up the hills and over the bumps just thanks to our prayers! In Italy the streets, the traffic and the way of driving are very different- you should come and see! During the following days the Sisters asked us to clean the windows in the Health Care Center. We worked with the workmen and we became friends with Stadium, who told us his story. We were happy to talk to him and this was another opportunity to discover that just working together it’s possible to transmit a different way to live, also to do the simplest things. It was very difficult to get accustomed to the African way of understanding group work and time, which is very different from the individual work in the West. As a matter of fact, we had to find a meeting point in order to cooperate with Stadium and the other workmen, listening and teaching each other. We experienced that the greatest help we can give isn’t finished projects to improve bad conditions, but we can give our time and lives in a different way, working together cooperatively. We shared the greatest aspects of our culture, for example, the attention to detail, our notion of time, etc, and learned of the wonderful aspects of Swazi culture: happiness and optimism, even in the most difficult situations. Especially we thank Jos, with whom we shared meals and a home for some days; he was our tour guide during our trips, and patiently dealing with our bad English he showed us many traditions of Swazi culture, helping us to learn of some aspects that are difficult to understand for us. It was a wonderful experience, even if sometimes it was hard because, for the first time in our lives, we had to cope with a completely different culture. We learned humbleness and simplicity, and to trust others. When we arrived in Swaziland we intended to help and do the best we could, but when we left we realized that we received even more: smiles, stories, gazes, handshakes and hugs filled us with joy and made us grow in a way we couldn’t imagine before. This experience has lasted in our hearts, and now, back in Italy, we desire everyday the same beauty of living together happily, as we experienced in Swaziland. Meeting the Sisters and all the people, who gave us their time in the mission, was a real gift, and we thank you. Siamo tre studentesse del quinto anno di medicina italiane Caterina, Silvia e Selena, vorremmo raccontare l’esperienza vissuta a St Philips Swaziland con Sr. Diane Delle Molle e Sr Barbara, dal 25 luglio al 10 agosto. Questa esperienza è nata dall’incontro di Caterina con sr. Diane a Milano, in Italia. Caterina si trovava nella clinica Columbus per consegnare del materiale a Sr. Diane, che non conosceva; Caterina infatti lavora nella fondazione Maria Bonino che sostiene progetti soprattutto in ambito sanitario in Africa. Da quell’incontro così casuale Caterina fu molto colpita. Arrivando in università raccontò alla sua compagna di studi- Silvia- di aver incontrato una persona molto speciale. Sr Diane aveva detto a Cate che visitare St Philips sarebbe stata un’occasione per crescere. Silvia, subito contagiata dall’entusiasmo di Caterina, pensò che fosse un’ottima idea. Da lì il passo fu breve: insieme a un’altra compagna di università, Selly, decidemmo di partire. Il 23 sostenemmo l’ultimo esame e il 24 prendemmo l’aereo. Ad attenderci all’aeroporto di Manzini c’era Sr Barbara, con cui, in una corsa indiavolata sulle strade dello Swaziland su un camioncino che imparammo poi a conoscere bene, arrivammo a St. Philips. Le prime impressioni furono tante: prima lo stupore per l’accoglienza gratuita e generosa delle srs, poi la meraviglia davanti a un luogo così diverso dal paesaggio italiano a cui siamo abituate. Quello che più ci colpì del posto fu l’immensità dello spazio ma anche la desolazione: intorno, fino all’orizzonte, si estende solo il bush, terra brulla con sterpaglie di rovi, sopra un cielo infinito quale non avevamo mai visto e una luce bellissima a invadere tutto. Ci aspettavamo di trovare un villaggio, ma in realtà, come abbiamo imparato poi, in Swaziland non ci sono villaggi, e la gente vive nelle homesteads. La missione è l’unico punto di aggregazione del luogo. La casa dove abbiamo vissuto era davvero confortevole; un’altra sorpresa! Le sisters avevano pensato proprio a tutto: oltre ad averci rifornito di provviste, ci avevano preparato un programma dettagliatissimo delle cose da fare nella settimana: noi italiane non siamo abituate a tutta questa organizzazione! La sera seguente siamo andate con Jakonia a consegnare delle coperte ad alcune famiglie per far fronte alle rigide temperature notturne poiché le capanne, costruite con fango e paglia, sono dotate solo di fuoco quale fonte di calore; siamo state davvero colpite dall’ambiente: era notte fonda, l’unica luce era quella dei fuochi accesi nelle capanne e quella della volta stellata, ci siamo rese conto per la prima volta della bellezza e dell’immensità delle stelle – in Italia c’è sempre troppa luce per poterle vedere- e il cielo del sud dell’africa non è quello a cui siamo abituate, sembra un enorme manto luminoso che ti circonda e ti avvolge in ogni direzione. E’ davvero stupefacente! Ma a colpirci di più sono state le persone incontrate, primo fra tutti Jakonia che, in quel gesto così semplice di dare le coperte, aveva una familiarità, una discrezione e un amore davvero grandi per le persone delle homesteads, senza far provare vergogna a chi le riceveva. Con David, un infermiere davvero bravo che lavora nella missione, siamo andate nelle homesteads a visitare gli ammalati: è stata un occasione per entrare in contatto con la gente del luogo e sperimentare come sia importante che ogni singola persona sia curata e seguita in modo individuale dal punto di vista sanitario ma anche umano e assistenziale; la gente spesso ha difficoltà a recarsi nella missione per essere curata. Il giovedì con Bongani siamo partite prima dell’alba con il solito mitico camioncino per andare a raccogliere le persone che nelle homesteads intorno avevano bisogno di recarsi all’ospedale di Siteki. Durante il viaggio abbiamo imparato a conoscere Bongani, che si è rivelato una persona stupenda, di poche parole ma piena di attenzione per noi e per i malati. A Siteki abbiamo condiviso il lavoro dei medici e soprattutto degli infermieri: abbiamo scoperto che in Swaziland ci sono solo 80 medici!! E’ stata un’occasione per conoscere la realtà sanitaria dello Swaziland: le condizioni igieniche sono pessime e soprattutto c’è un disperato bisogno di personale qualificato, che si occupi anche di insegnare alla gente del posto come occuparsi dei malati. Il tempo che ci rimaneva libero lo abbiamo trascorso all’hostel; abbiamo conosciuto soprattutto Simo, Siswei, Mtula tra i teachers e molti dei ragazzi. Abbiamo condiviso con loro le attività del pomeriggio le lezioni di inglese, i giochi, la raccolta di legna nel bush. Ci siamo divertite un sacco a giocare con i ragazzi e insegnare dei nuovi giochi, ma soprattutto ci siamo affezionate moltissimo!! E’ sconvolgente vedere come siano felici e coi pochi mezzi che hanno a disposizione ce la mettano tutta per divertirsi. Le sisters, viste le nostre ancora acerbe conoscenze mediche, hanno pensato di affidarci la realizzazione delle tende per il nuovo Health Care Centre; così un pomeriggio siamo partite alla volta di Manzini con una jeep dal motore un po’ scassato insieme a cinque donne della missione per comprare il materiale. Il viaggio è stato assurdo ma divertente: ci sono stati dei momenti di scoraggiamento soprattutto per Caterina che guidava, oltre a non essere abituata alla guida a sinistra era preoccupata per le condizioni della macchina: le salite siamo riuscite a superarle solo grazie alle nostre preghiere! In Italia le strade, il traffico e il modo di guidare sono molto diversi, dovete venire per sperimentare di persona! Comunque dopo due ore siamo riuscite ad arrivare a destinazione: è stato difficile confrontarsi sulla scelta dei tessuti, diciamo che è stato uno scontro-incontro tra la moda italiana e quella africana!!! Con l’aiuto di una gentilissima signora abbiamo familiarizzato con le macchine da cucire- rigorosamente dotate di manopola a mano- e armate di molta pazienza siamo riuscite a confezionare le tende. Nei giorni successivi le sisters ci hanno chiesto di pulire i vetri dell’Health Care Centre, e così abbiamo lavorato insieme agli operai e siamo diventate amiche di Stadium, che ci ha raccontato la sua storia. E’ stato bello confrontarsi con lui ed è stata ancora una volta un’occasione per capire che solo lavorando insieme si può trasmettere un modo diverso di fare le cose, anche le più semplici. E’ stato molto difficile abituarsi alla visione del lavoro “africana”, molto diversa da quella individualista e stacanovista occidentale, infatti il nostro lavoro è stato trovare un punto di incontro e una spinta verso la crescita di una collaborazione con Stadium e gli altri operai basata sul reciproco ascolto e insegnamento. Quello che abbiamo sperimentato è che l’aiuto più grande che possiamo dare non sia tanto realizzare progetti per migliorare condizioni critiche quanto donare il nostro tempo per costruire braccio a braccio un modo diverso di vivere arricchendosi a vicenda. Così è possibile trasmettere ciò che di più prezioso c’è nella nostra cultura (come l’attenzione al particolare, la metodicità, il senso della fatica e del tempo) e assorbire gli aspetti meravigliosi della cultura Swazi: la felicità e l’ottimismo anche nelle situazioni più dure. Un ringraziamento speciale va a Jos, con il quale abbiamo condiviso molte cene e lo stesso tetto per qualche giorno; è stata la nostra guida nei momenti di svago e, con molta pazienza per il nostro scarso inglese, ci ha spiegato molte usanze della cultura Swadi aiutandoci a capire ciò che per noi a volte risultava incomprensibile. E’ stata un’esperienza stupenda e a volte dura che ci ha, per la prima volta, messe a confronto con una cultura completamente diversa dalla nostra, insegnandoci ad essere umili e ad entrare in punta di piedi in un mondo, spesso per noi difficile persino da immaginare, che ci ha trasmesso l’importanza della semplicità e della fiducia nel prossimo. Siamo partite con l’intenzione di aiutare il più possibile ma, una volta tornate, ci siamo rese conto di aver ricevuto molto di più..i sorrisi,le storie, gli sguardi, le strette di mano e gli abbracci ci hanno riempito il cuore e ci hanno fatto crescere come non credemmo possibile. Tornando in Italia desideriamo che questa esperienza non resti una parentesi isolata, ma che la bellezza dello stare insieme per un progetto e un ideale più grandi continui anche qui in Italia nella nostra quotidianità. L’incontro con le sisters soprattutto, ma anche con tutte le persone che ci hanno dedicato il loro tempo nella missione è stato un dono grandissimo per il quale non possiamo fare altro che ringraziare.